When you enroll your child in our Kickin’ Kids After School Martial Arts Program, we’ll provide more than just quality structure and academic support. We’ll teach your child martial arts. Our After School Martial Arts program is NOT a day care, and we do not intend to be. We are an open access, free to come and go facility there are no expectation of child care at our school.Our sole purpose is to teach Martial Arts. This is a constructive alternative for kids who want to learn Martial Arts and Fitness. Studies have shown that martial arts lessons can help your child improve confidence, better focus skills and develop the leadership skills they need to succeed in life. Most of all, they’ll gain the high self-esteem that is proven to result from martial arts training as we teach it in our exclusive Kickin’ Kids Program. Martial Arts all so helps get in excellent physical condition by daily training.If you’re like most parents, you’re probably on a budget. 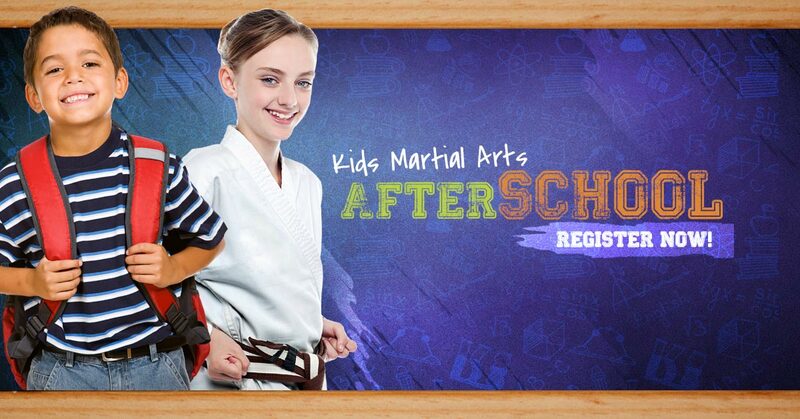 Kickin’ Kids makes it easy for you to give your child structure after school with Martial Arts! We are a licensed School. All our Staff is certified and all are background checked! Our fleet of vans and buses are in top shape and very clean. Before School Martial Arts Club. Schools we currently service: Timbergrove, Reisterstown, Sacred Heart, Cedarmere, Glyndon, Chatsworth, Owings Mills, Franklin, Franklin Middle and High School. Enroll now in our Award Winning After School Martial Arts Program Today! See why we are the largest, most Structured After School Martial Arts Program around! Sign up now and get a FREE uniform, gear bag and complete set of sparring gear! Enrolling now for 2018/2019 school year, Space is limited! EARLY REGISTRATION DISCOUNT!